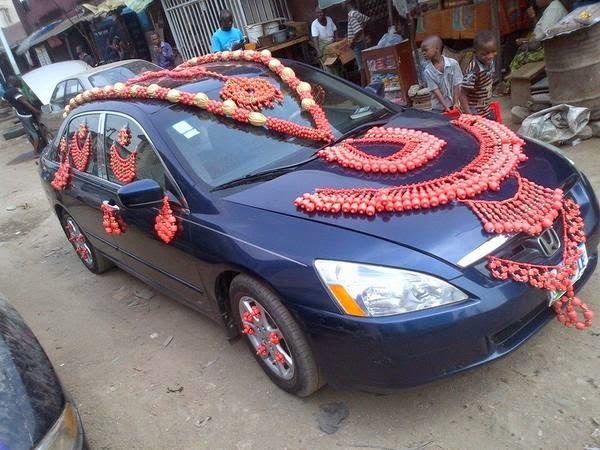 CHECHESMITHNATION : Wedding Car Decoprated With Traditional Beads. Hmmm nice one. I have done this before, and I'll continue to tell you all, that in fashion and style I am in full support of breaking the rules/norms in a stylish way. This is creativity really, but it doesn't interest me that much,why? Because it looks more like a traditional royal couple wedding, maybe a royal wedding. 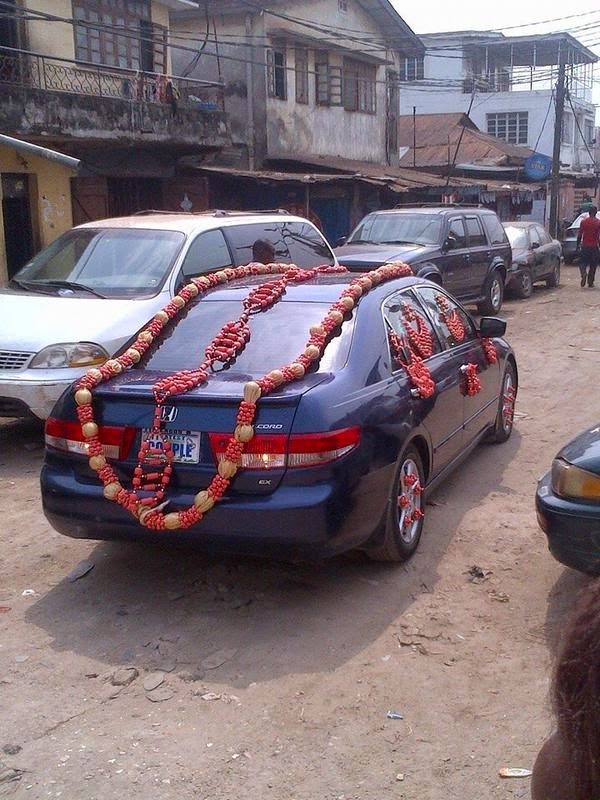 I love colours,i mean lots of it..maybe i would have loved seeing colourful beads on the car. Something different though,i mean stepping outta of the normal decors, so congrats to the couple. Send boundless SMS from your current Contact Form 7 module! You should have CF7 introduced and this will include a choice box in your arrangement board for Contact Form 7. Contact us to Hummer Hire service for your weddings and picnics and much more!! !